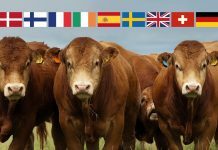 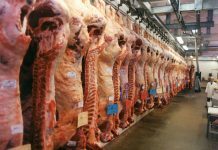 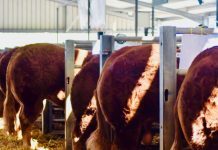 Brecon Livestock Market played host to a jam packed ring side on Saturday, 9TH February, for the first major show potential calf sale of the year. 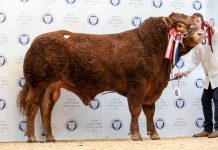 Topping trade at a cracking £8000 was a Glangwden Josh sired heifer, Pepsi, from D E and G Davies and Son, Llwynpiod, Garth. 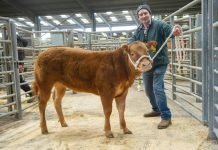 Buying this one was Michael and Melanie Alford, Cullompton, Devon. 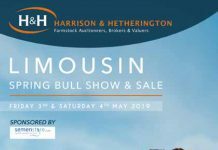 Next best in the sale ring, having taken the Overall Championship, was Phil and Tracey Jones, Erwood, with Dancing Queen. 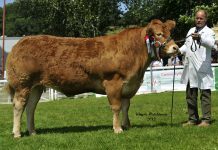 This one is by Sheehills Jet, an Ampertaine Elgin son, and is out of a Limousin x British Blue cow. Taking her home at £5700 was Blair Dufton, Huntly, Aberdeenshire. 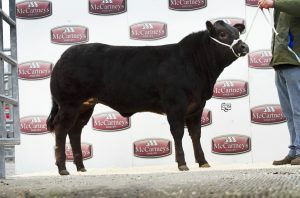 The Jones family then took the third highest price with their Reserve Champion, Black Magic. 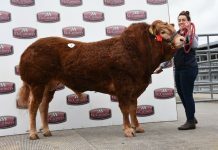 Again, by Sheehills Jet and out of a Limousin cross cow, she sold to C J Harris, Torrington at £3900. 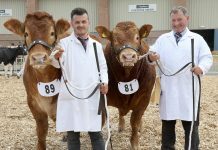 Selling for £3100 was Colin and Wendy Phillips, Sarnsfield, Herefordshire, with a Limousin cross heifer. 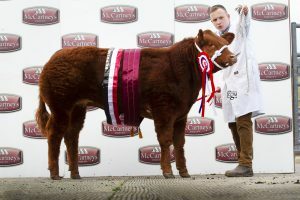 Sired by Powerhouse Maverick she sold to D Morrison, Burnside, Kinloch Brevie.